The Kathmandu valley is the capital city of Nepal with an area of 167 ha. It has 3 major cities as Kathmandu, Patan, and Bhaktapur. There are 7 UNESCO world heritage cultural sites. 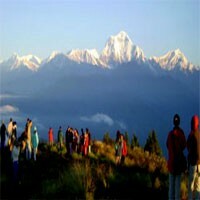 Altitude of the Kathmandu valley is 1350m above sea level and it is surrounded by some big hills. Before the 15th century, it was one kingdom and its capital was Bhaktapur and divided into 3 kingdoms as Kathmandu, Patan and Bhaktapur. There were three kings ruling until 18th century then become the capital city for whole Nepal after the king Prithvi Narayan Shaha united Nepal. The valley itself was known as Nepal when the other parts from outside Kathmandu valley had several different kings with their small states. 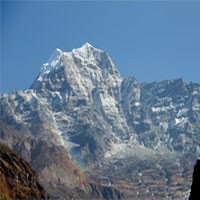 The Kathmandu valley is a developed and most populated city of Nepal. Most of the higher governmental headquarters are located in this valley. 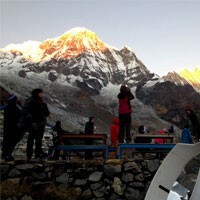 It is one of the tourist hub in Nepal with rich unique art, architecture, culture, and street festivals. Some historic monuments were badly hit by the earthquake in 25th April 2015 and a couple of hundred people were killed. 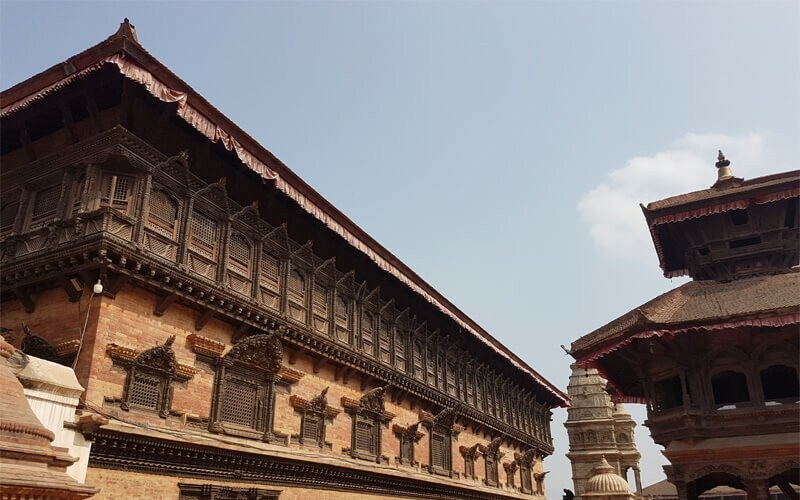 Kathmandu is not the original name so it was known as Nepal Mandala (Land of Nepa People) but later in the 12th century, made Kashtha Mandap (Wooden building) which was made out from the wood of one tree then named as Kathmandu from this building which is in Kathmandu Durbar Square. According to the Hindu Myth, God Shree Krishna had come with his friends when the Kathmandu valley was full of water and cleared the water then made the king to Bhuktaman and he went. Mahispal were from same from Gopal dynasty and divided into cow feeders and buffalo feeders actually they were from the same family. 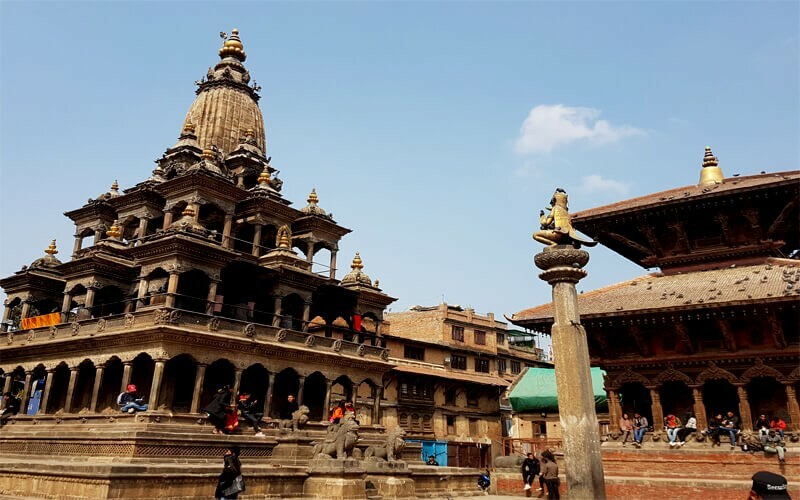 After these King ruling from Bhaktapur when the whole valley was one country, divided into 3 countries as Patan, Kathmandu, and Bhaktapur and started to rule individually by different kings until Nepal was united by the king Prithvi Narayan Shaha. Then the Kathmandu valley was united by the Shaha dynasty (King Prithvi Narayan Shaha) then moved his palace from Gorkha to Kathmandu and started rule from here as the capital city of Nepal. Several Shaha kings ruled Nepal then from 2008 Nepal has no more king. Here is the list of the Shaha kings who ruled from 1768-2008. If you are interested to visit these cities and the heritage sites tour among these places to know more history, culture, religion, ethnicity, art, and architecture please contact us.